The term Mangalsutra is the union of two Sanskrit words Mangala (meaning holy) and Sutra (meaning thread). Due to its strong significance in the Hindu culture, the Mangalsutra is not considered as an ornate piece of jewellery but in fact a sacred thread of love and goodwill worn by the married Indian woman. 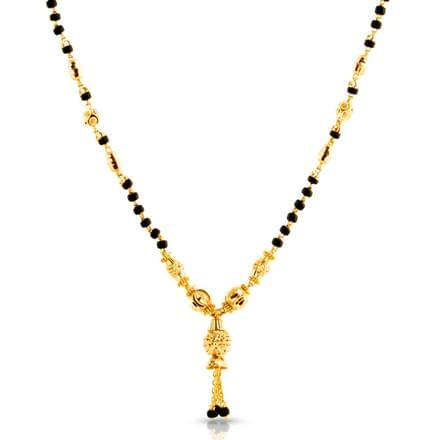 Traditionally, the design of the Mangalsutra was pretty much definite with two strings of small black and gold beads ending in a locket or a pendant. But India being as diverse as it is, has seen every culture add its own touch to this iconic golden thread. 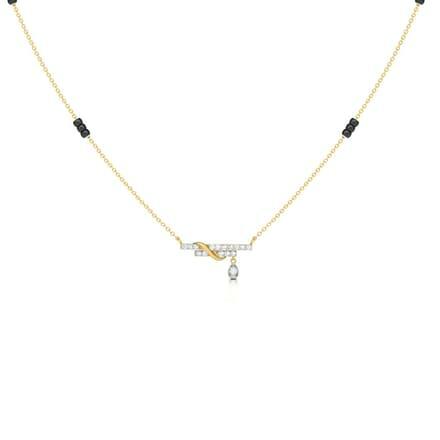 A mangalsutra symbolizes the bond of love and union between a husband and wife. The mangalsutra is worn by a married woman on the wedding day according to the traditions in India. The beautiful black and gold beads of love mark the eternal bond of marriage. 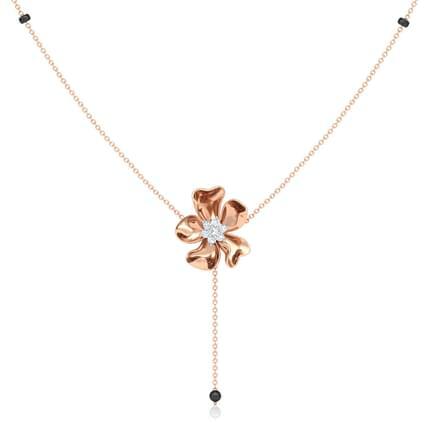 CaratLane gives the gift of love a unique and interesting look with its beautiful collection of latest mangalsutra designs online. 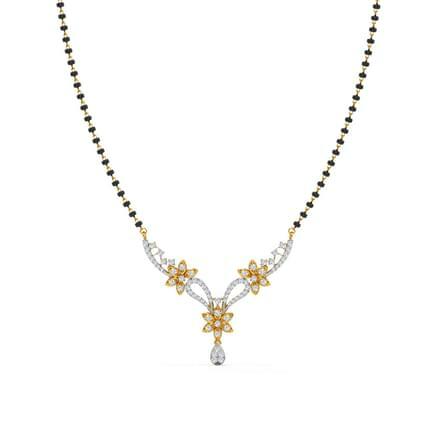 CaratLane has more than 130 latest and unique mangalsutra designs, which are priced from Rs. 10,000 up to Rs. 2,00,000. CaratLane has curated more than 150 stunning patterns of mangalsutras, each one of which is unique and striking. The collection has endless designs based on themes such as Contemporary, Traditional, Cluster and Ethnic. The portal has an interesting design for every occasion. CaratLane has stylish mangalsutra designs perfect for wedding, evening and everyday wear for women. The latest and stylish selection of managalsutra available online are set in 18 Kt and 22 Kt yellow gold, 18 Kt white gold and 18 Kt three-tone gold variants. The traditional mangalsutra which is made of black and gold beads has gone through enormous changes over the years, but the love and respect for a mangalsutra stays intact. The classic style of mangalsutra is evergreen but its contemporary designs has a large number of takers nowadays. Buy from CaratLane's selection of latest mangalsutra online which has the best mangalsutra patterns in India, set in yellow gold and white gold, along with three-toned gold options. The portal offers the best quality of ornaments with outstanding designs to look out for. Customers are assured to enjoy a happy shopping experience here. A gold mangalsutra is a classy and traditional form, which tops the list among most women's most-admired mangalsutra patterns. Ethnic gold mangalsutra designs such as the Chayla Leafy Gold Mangalsutra and the Veena Mangalsutra are sleek necklace styles which will never go out of style. The multi-layered styles including the Janhvi Mangalsutra and the Multi-layered Promise Mangalsutra are a perfect mangalsutra design that can be worn as evening wear or to a wedding. The Geeti Lotus and Coin Gold Mangalsutra from the Uttarakshin collection by CaratLane is a stunning designer and latest mangalsutra design for women. Choose and buy online from CaratLane's short mangalsutra designs as well as long mangalsutra designs made of 22K yellow gold. The Vinita Mangalsutra, set in 22K Yellow Gold is a smart yet traditional design of small mangalsutra designs for women. Buy the chic Manda Beaded Gold Mangalsutra, perfect for working women which can be paired with various kinds of outfits. 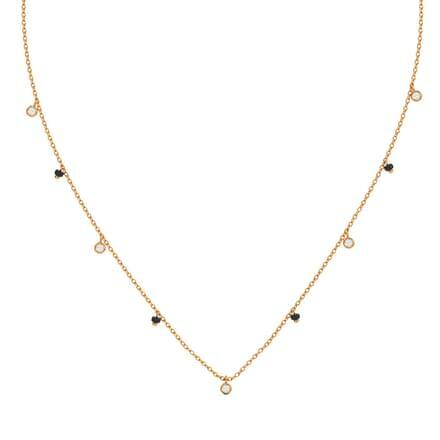 The Lema Tassel Gold Mangalsutra is a modern take to the classic mangalsutra design, and a beautiful one at that. Wear a stunning mangalsutra design to a wedding to adorn a perfect traditional married Indian woman look. CaratLane's range of wedding mangalsutras is worth checking out. 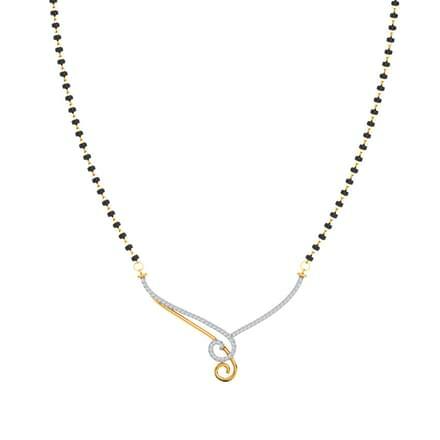 The Filigree Oath Mangalsutra and the Swirl Drop Mangalsutra are bold and striking mangalsutra designs. Wear one to a wedding and make heads turn your way! 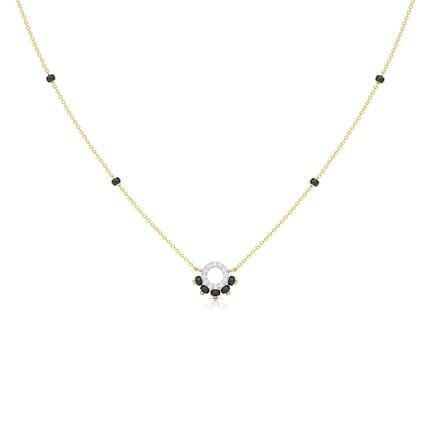 CaratLane's vintage-inspired the Enamel Vow Mangalsutra is a spectacular piece of jewellery. With multiple gold and black beads and an intricate enamel set pendant, the mangalsutra is an ethnic beauty. 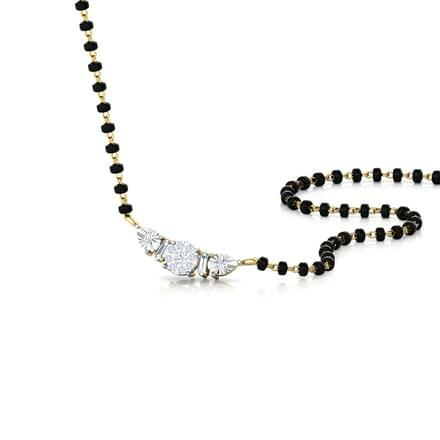 Diamonds are every woman's favorite form of jewels and what better way than a mangalsutra sparkling with diamonds on her engagement or wedding day. 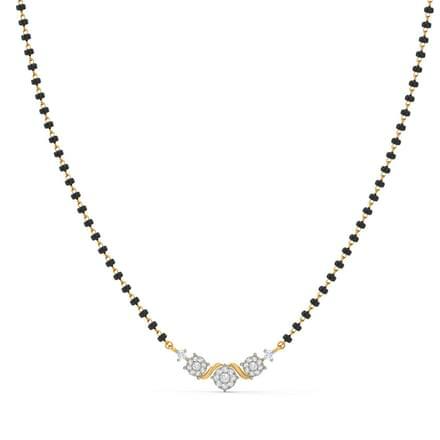 A diamond mangalsutra can be a bought online from CaratLane's extensive catalog of diamond mangalsutra patterns. 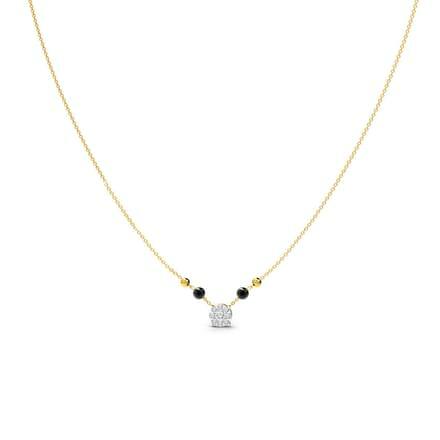 Big or small, a diamond mangalsutra looks awesome in every form. CaratLane offers sleek designs such as the Saniya Mangalsutra, the Yogita Mangalsutra and the Vritika Miracle Plate Diamond Mangalsutra. 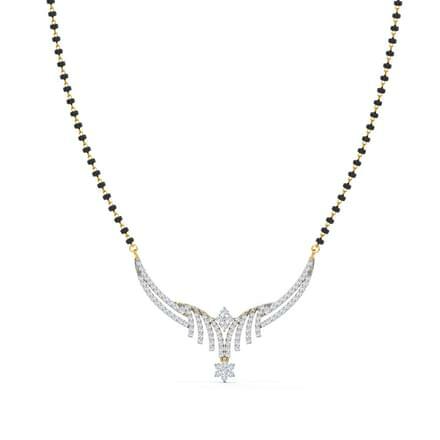 Go big and flaunt the latest mangalsutra styles with diamonds! Check out and buy from the floral themed designs like the Aara Leafy Mangalsutra or the Adsila Floral Mangalsutra. 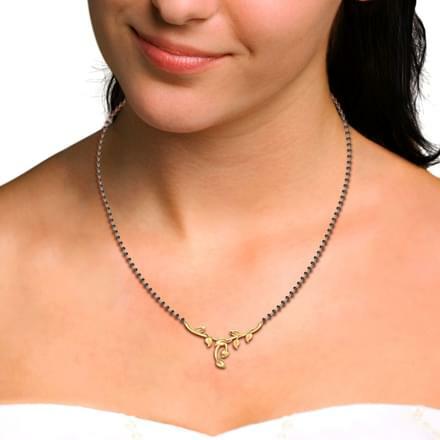 You can also buy from bold mangalsutra patterns such as the Tilaka Mangalsutra and the Ajaya V-Shaped Mangalsutra. 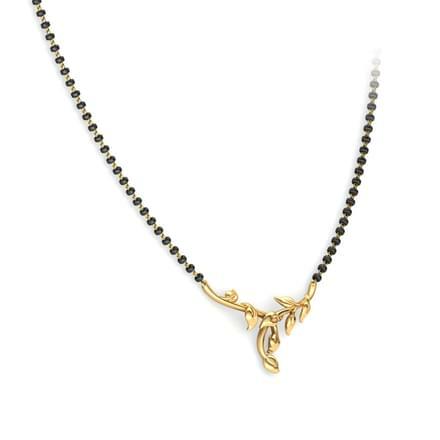 The Charu Floral Mangalsutra by CaratLane is also a delicate and stylish diamond mangalsutra. Mangalsutra pendants are a trendy and stylish way of adorning the traditional thread of love with a modern touch. 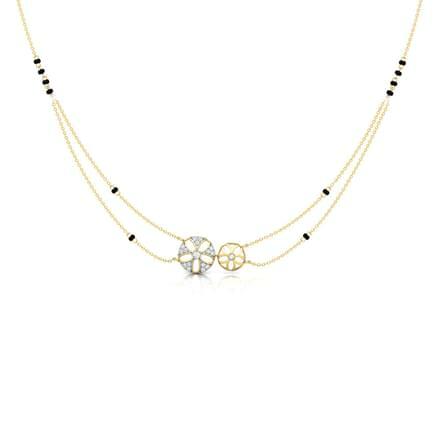 The pattern showcases a fashionable pendant set in diamonds or gold, held with the black or gold beads necklace. 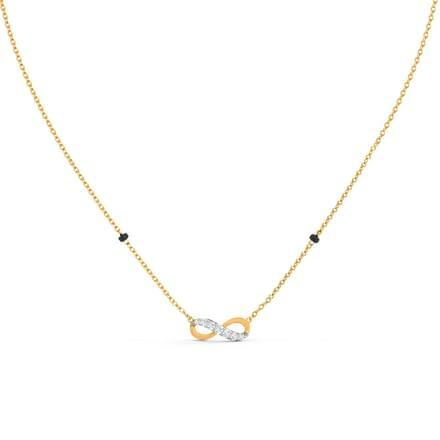 The Misha Mangalsutra and the Anshuli Mangalsutra are V-shaped gold mangalsutra pendants studded with diamonds. 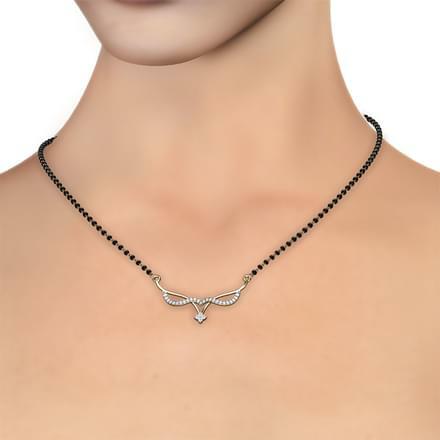 Bold mangalsutra pendants like the Avyaahata Leafy Mangalsutra or the Mahita Cluster Mangalsutra are mesmerizing designs of mangalsutra pendants for women. Modern designs of mangalsutra pendants are chart-toppers. 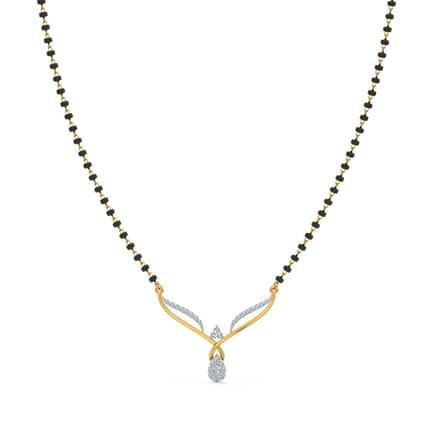 Styles like the Anu Diamond Mangalsutra, set in 18K yellow gold and the Devika Mangalsutra, set in three-toned gold are amazing mangalsutra patterns. 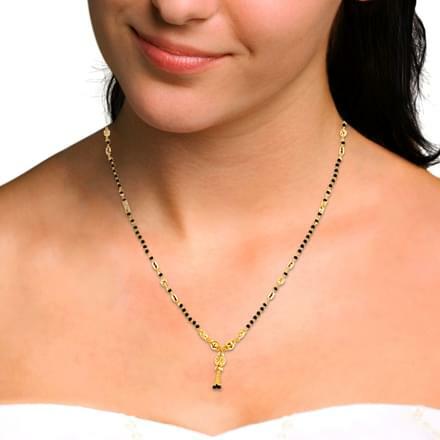 CaratLane caters to every woman's need of wearing a stylish and affordable mangalsutra design. 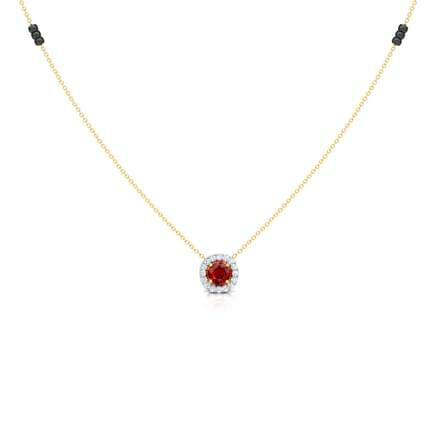 You can buy online an affordable mangalsutra priced at Rs. 10,000 or an expensive high-end mangalsutra priced as high as Rs. 2,00,000. You can also own two pairs of mangalsutra, a simple one for your everyday use and a special model for evening or wedding wear. 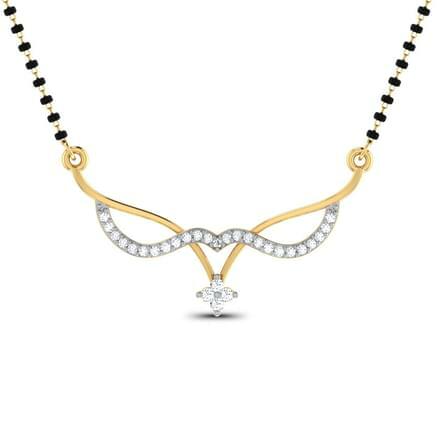 Explore and choose the most ideal mangalsutra design according to your choice and daily use. 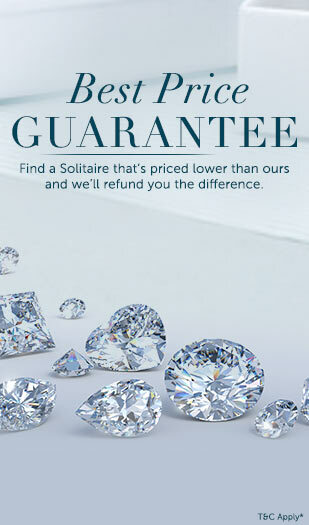 CaratLane brings the best quality and designs of jewellery online. The portal provides convenient online payments, easy exchanges and a 30-day return option as well. Customers can also use its Try@Home facility to try the ornaments before making the final purchase. Enjoy shopping the best from the best!